Aircrack-ng is an 802.11 WEP and WPA-PSK keys cracking program that can recover keys once enough data packets have been captured. It implements the standard FMS. Description Aircrack-ng is an 802.11 WEP and WPA-PSK keys cracking program that can recover keys once enough data packets have been captured. It implements the standard FMS attack along with some optimizations like KoreK attacks, as well as the PTW attack, thus making the attack much faster compared to other WEP cracking tools. 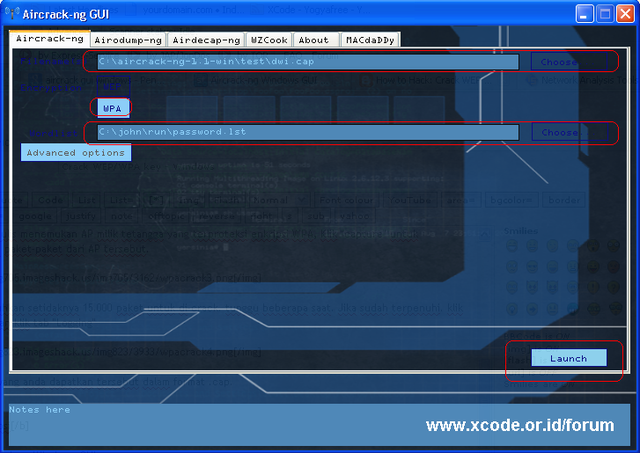 In fact, Aircrack-ng is a set of tools for auditing wireless networks. Here is the second release candidate. How to Install Aircrack on Ubuntu By Michael Butler. eHow Contributor Pin Share. You can use Aircrack-ng in Ubuntu to discover your router's password. Sudo apt-get install aircrack-ng. This install aircrack-ng, airodump. can someone help me please in installing aircrack. I've installed ubuntu within windows and. Aircrack-ng is an 802.11a/b/g WEP/WPA cracking program that can recover a 40-bit, 104-bit, 256-bit or 512-bit WEP key once enough encrypted packets have been gathered. Sudo apt-get install aircrack-ng. This will install the whole suite, including airmon. Samsung Galaxy S3 With easy install Ubuntu 12.04 can I use aircrack-ng?